2009 – present time, Research Associate, Division of Social Psychiatry, Central Scientific Research Laboratory, Northern State Medical University. The focus of research work is “Psychophysiological Aspects of Neurological Disorders in Chronic Alcoholic Intoxication” Research supervisor: A.G. Soloviev, D.Med.Sci. Elistratova T.V. Neuroimmunologic Stress of Epileptic Syndrome of Alcoholic Genesis //Biological Psychiatry and Psychopharmacology. – 2006. – Vol.8. – C.39. 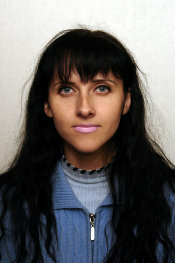 Elistratova T., Soloviev A. Psychophysiological aspects of alcohol epileptic syndrome. In: Sher L., Vilens A. (editors). Suicidal Behavior in Alcohol and Drug Abuse and Dependence. Hauppauge, New York: Nova Science Publishers, 2010. ‹ The effect of risky alcohol use and smoking on suicide risk: findings from the German MONICA/KORA-Augsburg Cohort Study	› Frances Finnigan, Ph.D.